This was a scenic, unique place to eat lunch today! It’s at Botany Bay/Botanical Beach near Port Renfrew. There are two ways to reach it – you can take the rainforest trail until you reached the beach and then scamper up a few boulders or you could take the shoreline route which is shorter but a little more treacherous climbing over rocks for about half a kilometre but the reward is seeing all the different tide pools full of little clams and other treasures. Usually I’m a bit of a scaredy cat and didn’t want to take the shoreline route at first , but I had a little chat with myself and decided if the 75 year old German tourist that just passed me could do it, I could too!!! We took the rainforest trail on the way back and it was a scenic walk too. I should have pics of both to post when I get home… (And the sandwiches from the deli at the grocery store in Sooke were delicious!). 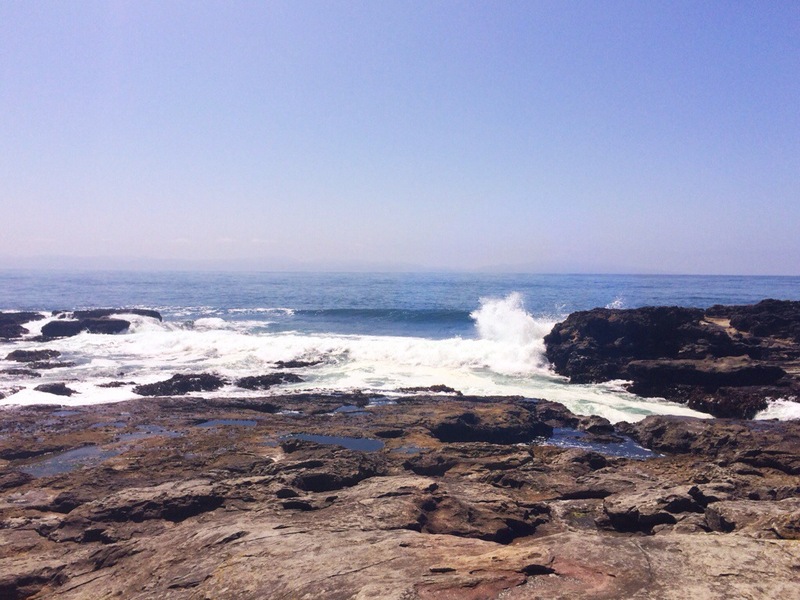 This entry was posted in Photography, Travel, Writing and tagged Botanical Beach, Botany Bay, Juan de Fuca Strait, lunch, photography, Port Renfrew, shoreline, vacation, waves. Bookmark the permalink.